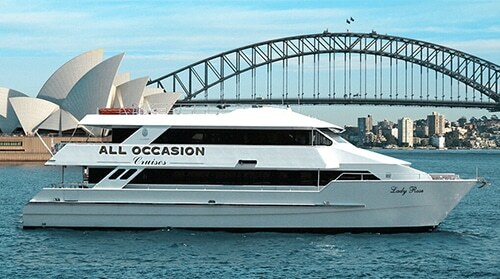 Sydney New Years Eve Cruise – Usher in the New Year in style aboard the luxurious Lady Rose for a fabulous New Year’s Eve cruise on the world’s most beautiful harbour. 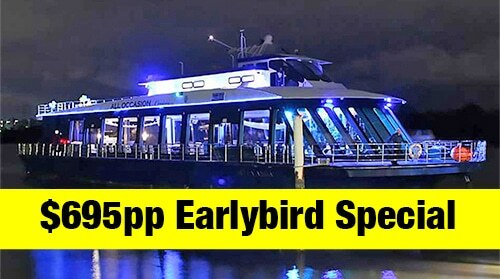 See the stunning sites of the Sydney Harbour and the Opera House as the sun goes down. Join us centre stage on our all-inclusive new year’s eve cruise aboard the Lady Rose, cruising up and down the centre of the harbour in the exclusion Zone! For prime position for the 9:00 pm and midnight fireworks display and all planned activities organised by the City of Sydney.